Look! Look! 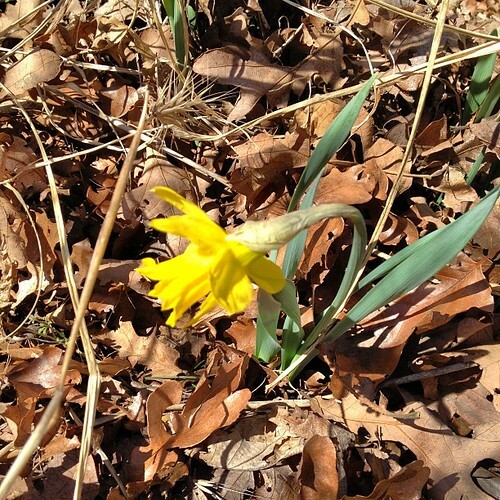 The first daffodil of the year! David was out of town on business overnight so the task of taking Shiloh on his early morning walk fell to me (I also had to make my own tea this morning – yes, he spoils me). I didn’t check the temperature but the ground was covered with a light frost. But just a bit ago I walked him again and it’s now sunny and relatively warm (50s). 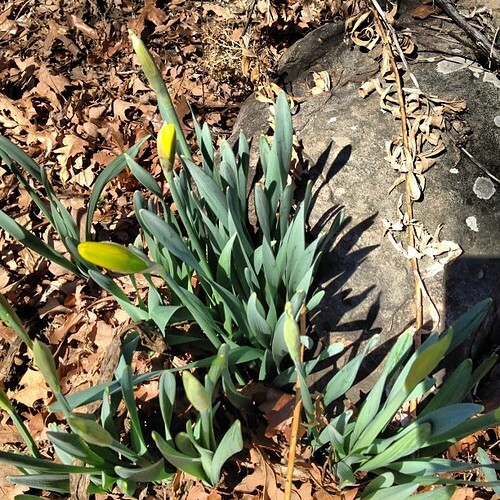 I’ve been watching my daffodils the past few days and was so happy to see that first bloom. We should have masses of them in the next day or two. This makes me happier than words can convey. But let’s not talk about the weather forecast. Allow me to dwell in the land of “Denial” just a bit longer, please.